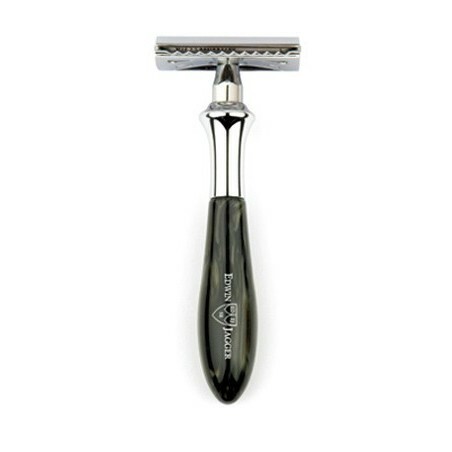 Edwin Jagger Double Edge Safety Razor - Plaza Collection Extraordinary double edge safety razor from The Plaza Collection handcrafted in the UK by Edwin Jagger. Mounted with the popular Barley head. 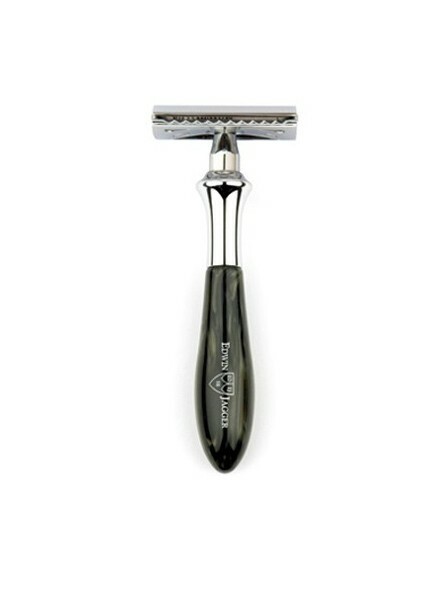 Weight and length are designed to offer the perfect balance. Elegant imitation black marble handle.